This has got to be my most interesting photo assignment yet. Don’t get me wrong, I love destination features like beaches, hotels or even some adventure activities. This one is literally closer to home. 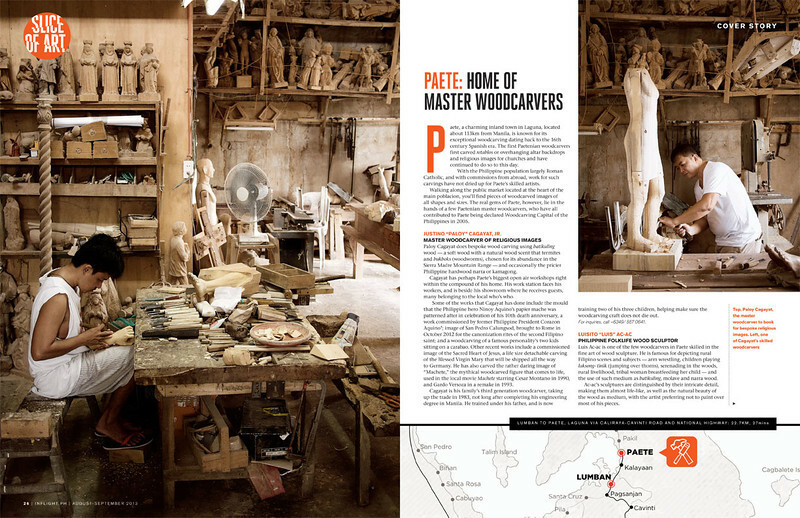 I must thank the staff of Inflight Magazine for trusting me to do this cover feature which I truly enjoyed to do. 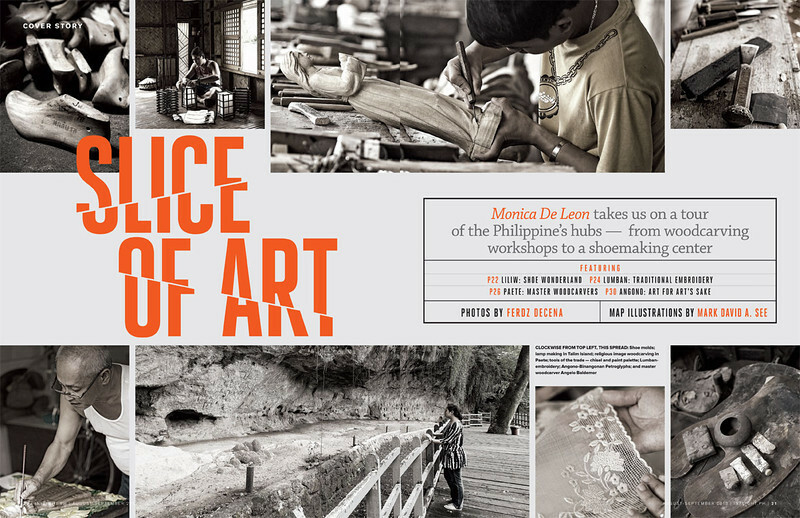 In the feature story “Slice of Art” we get up close to the rockstars and superstars of art from the different provinces of Rizal, from Laguna’s Paete, Lumban, Liliw then all the way to Binangonan and Angono. It’s such a humbling and inspiring experience to meet the art masters in real life. Makes me want to go back and paint again. The story is excellently written in detail by Monica de Leon, I admire how she funneled out all the important details because for me they were just too many. 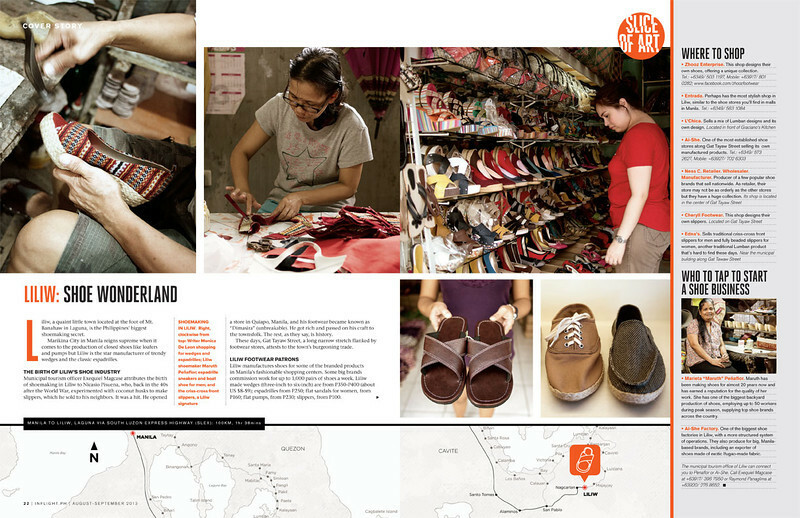 Kudos also to Jocas See for the Art Direction and the well thought out layout, it couldn’t have been presented better. Mark See also lends his wonderful map illustrations in the story. It’s been a while since I really enjoyed an assignment and hope you get to enjoy this one too. 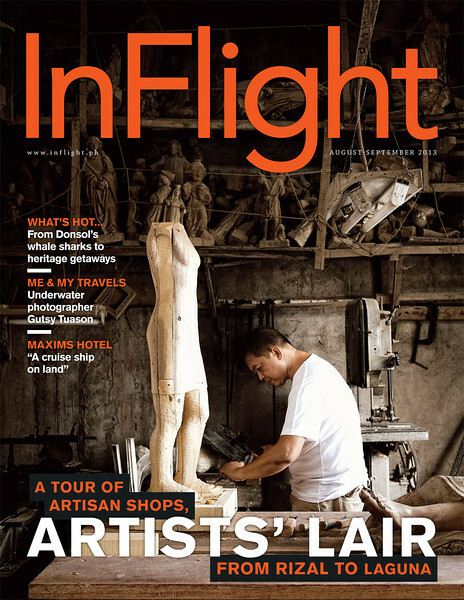 So grab a copy of the InFlight Magazine August-September 2013 Issue at Seair flights and also at NAIA terminal booths. You can also grab a copy of the latest issue as well at the upcoming Philippine Travel Mart at the SMX Convention Center this September 6-8, 2013. In the meantime you can also add the Inflight Facebook Page for updates. Check out some of the spreads here at my Inflight Slice of Art SmugMug Folio Gallery.